This week we have one more last minute back-to-school deal: the lowest price ever on Apple's new Gold 12" MacBook (1.1GHz/8GB/256GB) at $1,129.99 ($170 instant savings) plus a free 3-piece USB-C early adopter accessories kit, free software, free shipping, and no sales tax collected in 48 states. Valid until 8/31 at 11:50pm ET Only: This offer from Apple authorized reseller Adorama and AI offers Apple's new Gold 12" MacBook (1.1GHz/8GB/256GB) model MK4M2LL/A for $1,129.99 when using the links in this article or our Price Guides and applying Promo Code APINSIDER during checkout. That's the lowest price ever for this model by $70 and the current low by over $104, according our Price Guides. 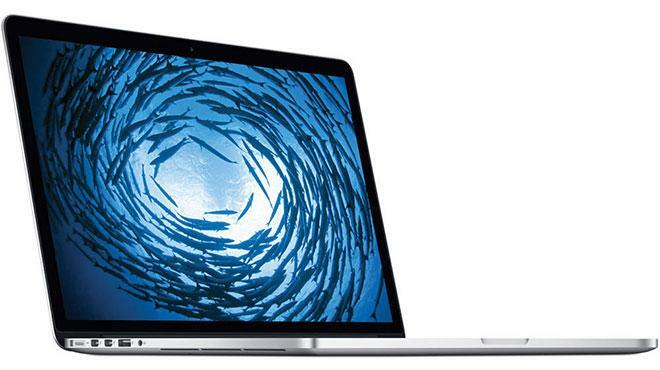 Or choose this same 12" MacBook bundled with AppleCare for $1,279.99 ($268 off) after applying the same coupon code. Just follow the step-by-step instructions below to make sure you get these prices. As part of this offer, customers will also get the following include free accessories (worth over $200) with each order: 1) Apple USB-C to USB Adapter for MacBook, 2) LG Electronics GP50NB40 Super-Multi External DVD Rewriter with M-Disc, 3) Sabrent 4-Port USB 2.0 Hub with Power Switches and LEDs, and 4) Corel Digital Organization Creativity Suite for Mac. Each order also ships free with no sales tax collected if you live outside NY & NJ. 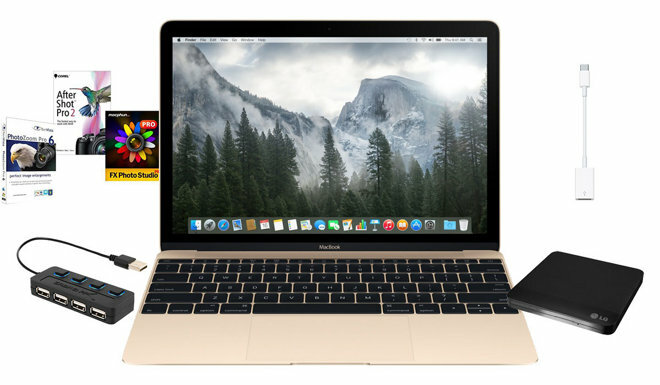 3) Once logged in, click this link for the 12" Gold MacBook model MK4M2LL/A at $1,229.99 or this link for the same model with AppleCare included. 5) When the Adorama MacBook page loads, you'll see a price that's higher than advertised. Add it to your cart anyway and begin the checkout process. 7) After you apply the promo code, the price should fall to match the price currently advertised. Now complete your order and checkout. 8) That's it. And if you live outside NY & NJ, this will be your final charge price for this order, as Adorama will not collect sales tax on your order. Readers looking for one of the other 12" MacBooks should check out our Mac Price Guide this week, where a couple of Apple resellers are offering $100 discounts on select models. 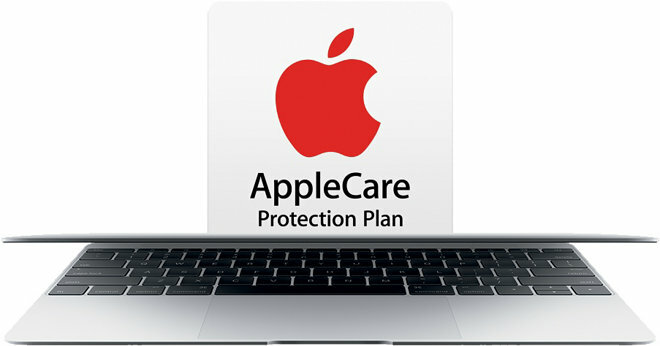 For 12" MacBooks with AppleCare, Adorama is offering the lowest price across the board with the same promo code and instructions above (just use the pricing link of your choice from our Macs with AppleCare Price Guide during step 3) or check out this tutorial. Also in a similar price range and currently at the lowest price ever: Apple authorized reseller B&H Photo offers Apple's 13" MacBook Air (1.70GHz/8GB/512GB) model MF068LL/A for $1,249.00 with Free Shipping, your choice of LoJack for Laptops Standard Edition (1-Year Subscription) or Parallels Desktop 10 for Mac, and no sales tax collected on orders shipped outside NY. That's $500 off MSRP and the lowest price anywhere for this model by over $120, according to our Mac Price GuideThis is a closeout deal and limited to available supply. Once it sells out, it will not return. Apple Authorized reseller B&H Photo is slashing Apple's 15-inch MacBook Pro (2.5GHz, 16GB, 512GB, 750M) model MGXC2LL/A to $1,899.00 with free shipping and no sales tax collected on orders shipped outside NY. That's $600 off MSRP and the lowest price anywhere for this model by $79, according to our Price Guides.. This is a closeout model that is available while supplies last and will not be restocked. 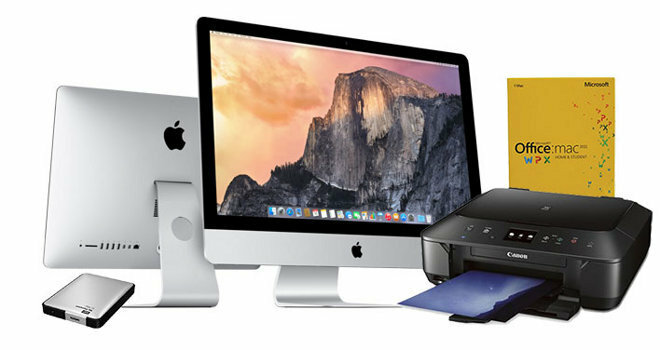 Free Apple TVs and the lowest prices anywhere on 13" MacBook Airs with AppleCare.